When I was in school, I always loved math. In my high school, only two math credits were required for graduation, but I took an extra year of math just for fun – yes, I used up one of my elective classes for math. That’s how much I liked it. Because of this love, I’ve never been one who’s afraid to teach math to my kids. But that doesn’t mean that I remember everything from back then well enough to teach it now. 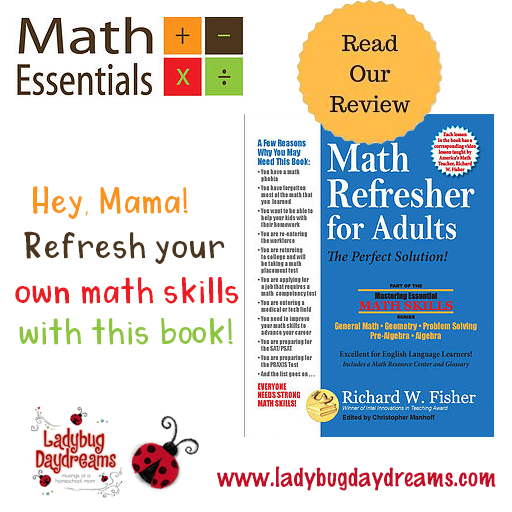 That’s where Math Refresher for Adults from Math Essentials comes in. And if you do have math anxiety (or need to learn/relearn math for a new job or because you’re going back to college or something), this book is for you too. This textbook covers all sorts of math concepts, starting at about a fourth grade level and going all the way through to Algebra I. 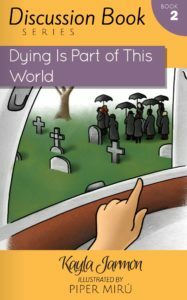 With over 250 pages, there are a lot of lessons in there! You’ll learn everything from basic addition and subtraction to fractions (including all four operations), geometry, to the more complicated aspects of Algebra. Because I’ve got one student in Pre-Algebra and one in Algebra I, I skipped the first part of the book and dived right into the last third. I’ve been working for a couple of weeks now and am about a third to halfway through the section. You’ll notice in the last paragraph I used the word “textbook.” This is really the best word for the book, which contains a short lesson on each page (usually a paragraph or less) followed by a series of 10-12 problems for you to solve. 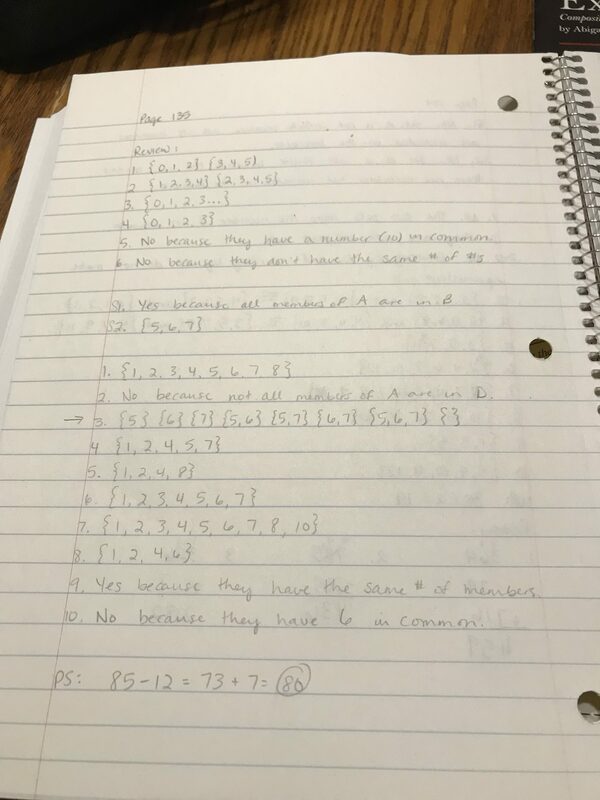 There is a place on each page to record your answers, but on most of the pages there is not room to “show your work,” as is often required in math (although when you’re both the teacher and the student, you can be a little more lax with yourself). The copyright on the book doesn’t allow for copying of the pages, but in the “helpful hints” at the beginning, the author recommends using a separate sheet of paper for your work and answers. This is exactly what I did, and I kept my answers on that sheet of paper rather than writing them in the book itself. This will allow me to keep the book clean and go through it again when I get to points with my third (and subsequent) children where I need another refresher in order to help teach them better. For my “sheet of paper,” I bought a spiral notebook for a quarter from WalMart. This allowed me to keep all the pages together rather than having loose sheets floating all around. This is something I hate when my children do, and I knew I would hate it if I did it as well. 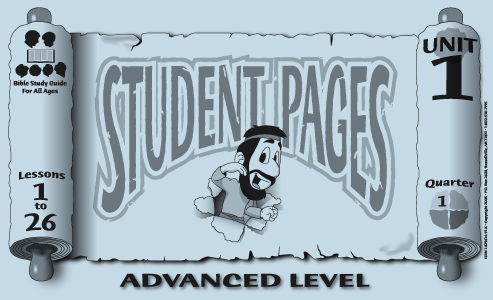 In addition to the short lesson on each page, there are also video lessons for every single lesson available online. The videos are arranged by the book they originally appeared to go with, not for this book in particular. But since the concepts are the same, that’s fine. 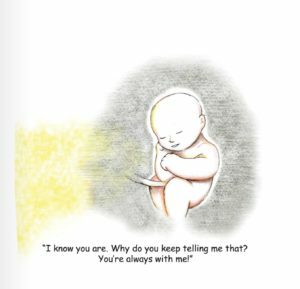 You can view the videos without having any of the books using the password on the “videos” page on the website. This could be a valuable resource to parents trying to make a decision on math still – try out one of the videos to see if it’s a way your child might learn well, then buy the correct book for your child’s grade level/age. Overall, I have been very happy working on this book for myself this summer. As I mentioned before, I really like math, so it’s been really rewarding to be able to remember some of the things I learned in high school and have since forgotten. It makes me feel pretty good about myself to be able to go over those lessons again – especially when I realize I might not have forgotten quite as much as I thought I had (which is a real testament to my favorite high school math teacher!). 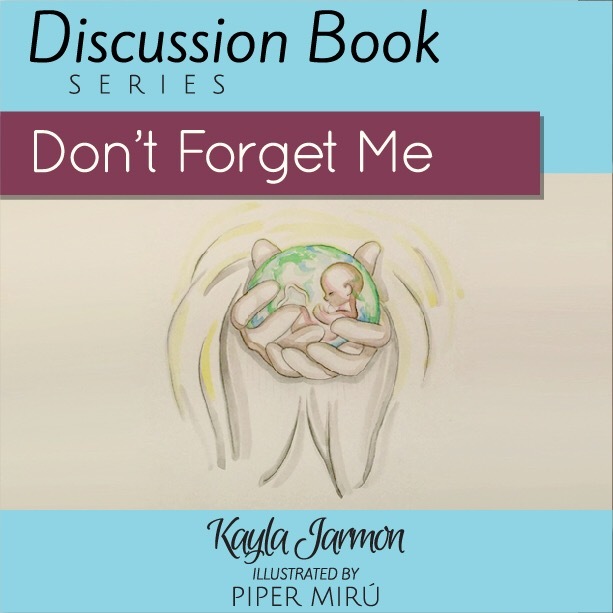 I definitely recommend this book for parents. 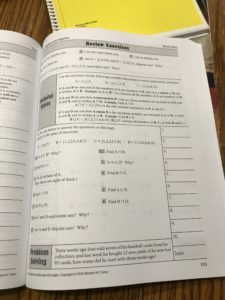 For more information on Math Essentials, you can read my review of their No Nonsense Algebra textbook from last year (which Seahawk is still using). You can also visit them on Facebook. Studying the Bible is important for everyone, not just kids and not just adults. As Christian parents, it’s a huge part of our job to raise our children to become God-fearing adults. A huge part of doing so is by studying the Bible. 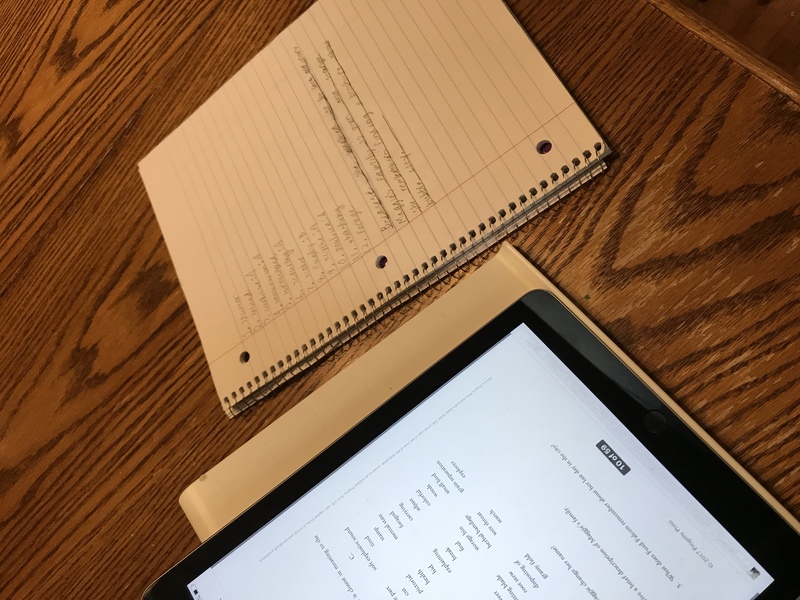 As part of this obligation (and I don’t use that word in a bad way), I almost always choose to review Bible studies when they come up as options through the Homeschool Review Crew. 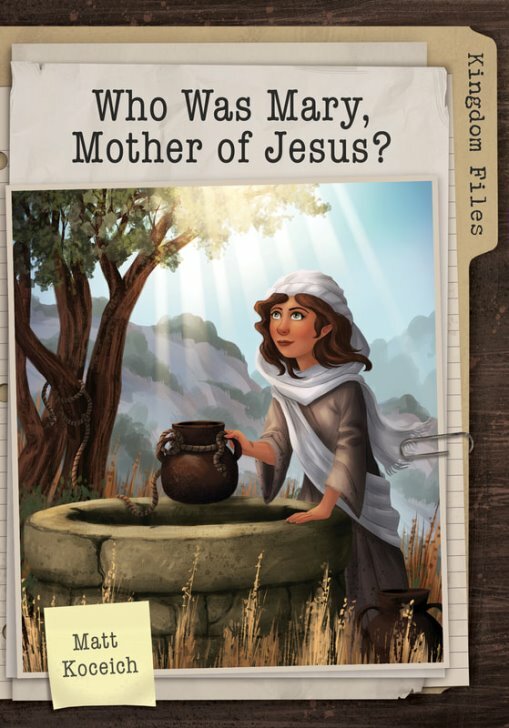 This time, we’ve been studying Genesis using Bible Study Guide for All Ages. 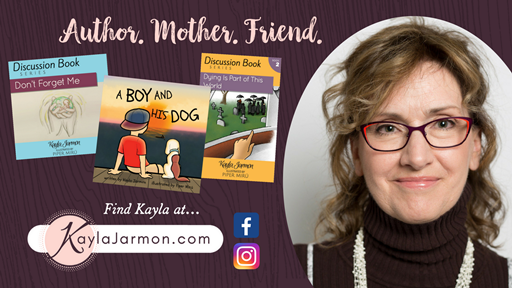 Because of the ages of my kids, I’ll be talking about the Beginner (3-K) level and the Advanced (5th and 6th Grade) level. The timing on receiving this worked out pretty well because we’d just gone back to the beginning of Genesis in our family reading. Each evening, we try to read a few chapters aloud as a family (Will reads, everyone else listens; those who know how to read follow along in their own Bibles). Then the next day, I go over the section again with the children in the mornings while Will is working. This way they get each section twice, which really reinforces what they’re learning during family time and prepares the boys for the next section. 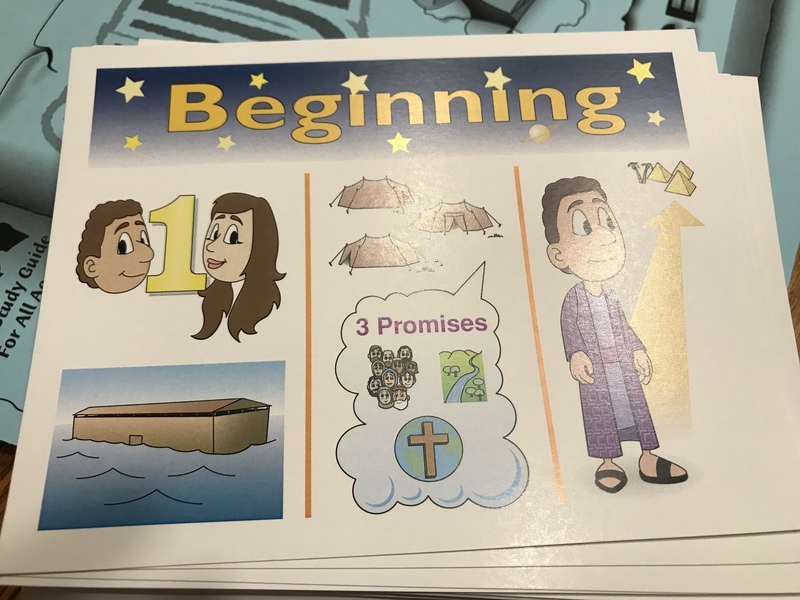 My time with the boys is when I pulled out the Bible Study Guide for All Ages. 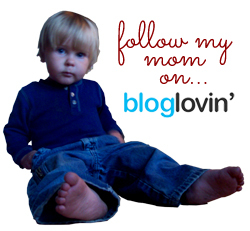 For anyone who’s read much on my blog at all, you know that I have two kids this age (well, one is 2 1/2, but close enough). We received one workbook in this level (the Unit 1 workbook) plus one copy of the Beginner Timeline. 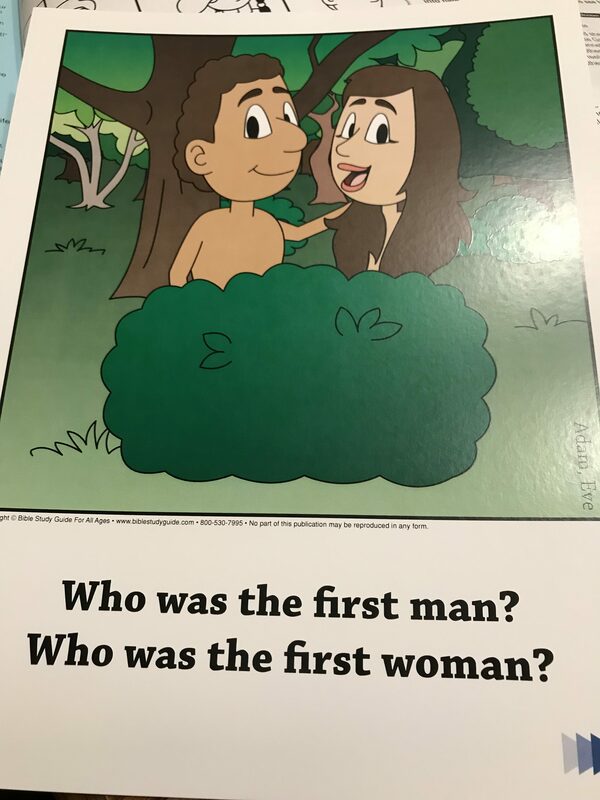 These materials are designed for “non reading children ages 3 and up.” The workbook is larger than a normal workbook, about legal size and bound on the short side so it’s long. It includes lessons for one quarter of the year, assuming you work at a pace of 2 lessons per week. We didn’t move quite that fast because we used it to supplement the reading we were already doing rather than as a standalone curriculum. 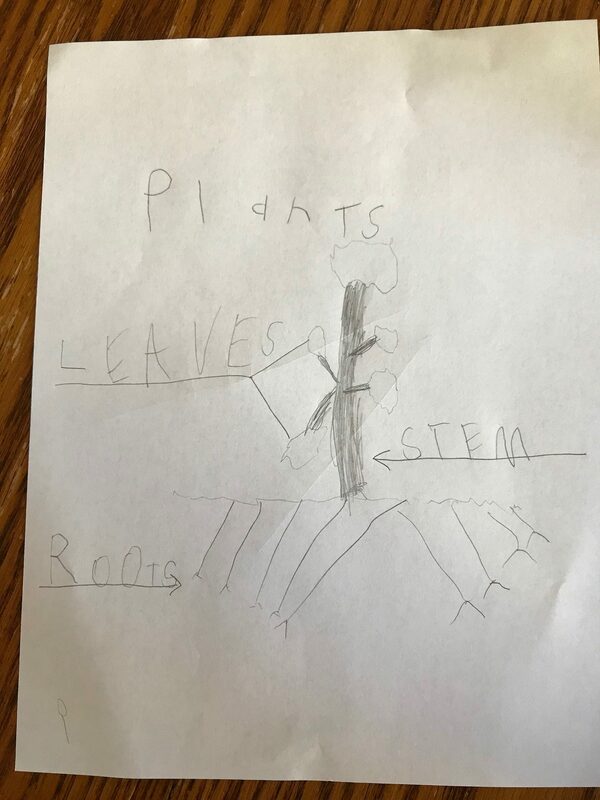 Instead, I had Small Fry (6 years old this week, just finished Kindergarten) do the pages that corresponded with the section we had just read. 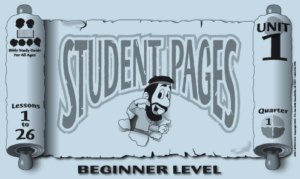 Each lesson is broken down right in the student workbook with instructions for the teacher/parent. 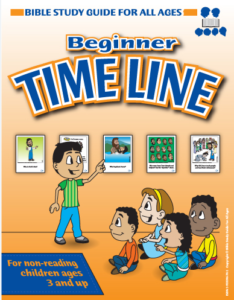 It starts with showing a timeline card and asking the question on the card. 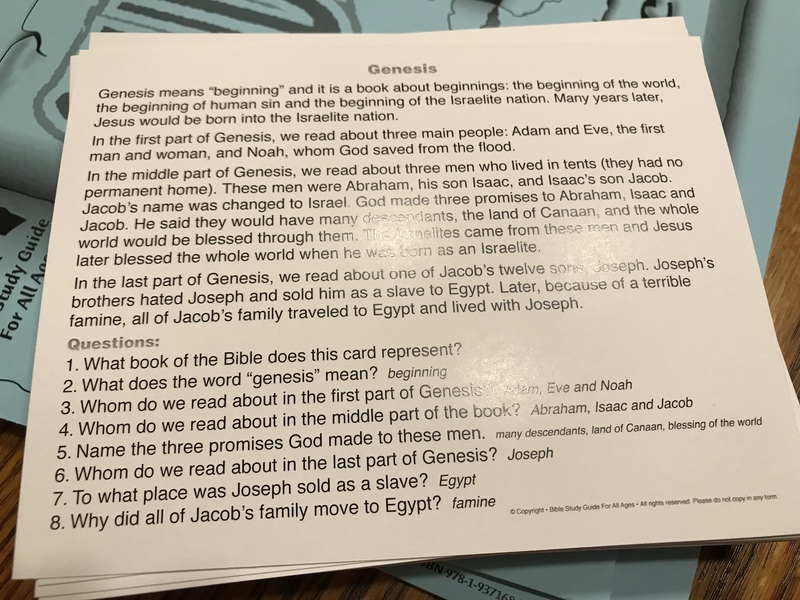 The cards are in the order that the events occurred in the Bible (of course, since it’s a timeline). Each one is 8.5 x 11 and printed on cardstock in full color. They’re quite durable. This makes it a good resource for a group of small children – not only are they durable enough to stand up to reasonable use, but they’re also big enough to see without being right up on the card. 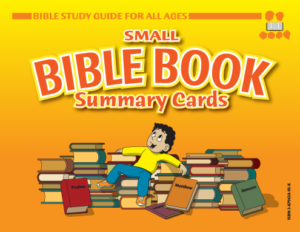 After working through the flashcard, there are a few activities to help children learn the basics of the Bible: reciting books of the Bible in order, singing songs, answering questions, etc. Then there’s a short lesson including an “apply it” section. On the backside of the page is an age-appropriate paper activity. For this level, I received one copy of the student workbook and a teacher guide, plus a set of Small Bible Book Summary Cards. 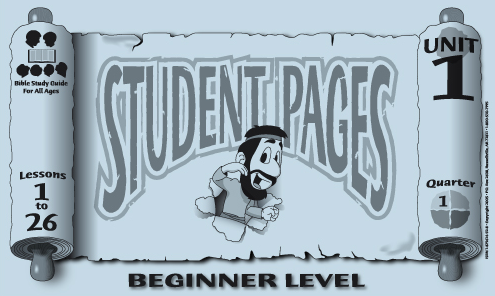 The workbook is the same size as the beginner version, but the activities are much more difficult (as suggested by the level). 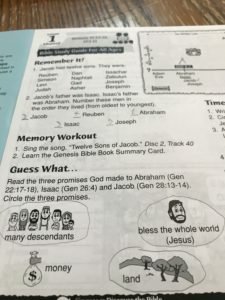 It starts with several memory activities to help students remember what they’d learned and read previously (it starts in Genesis 35, so there’s a lot of stuff that’s not specifically covered but is “reviewed” in the lessons so it’s not totally ignored). 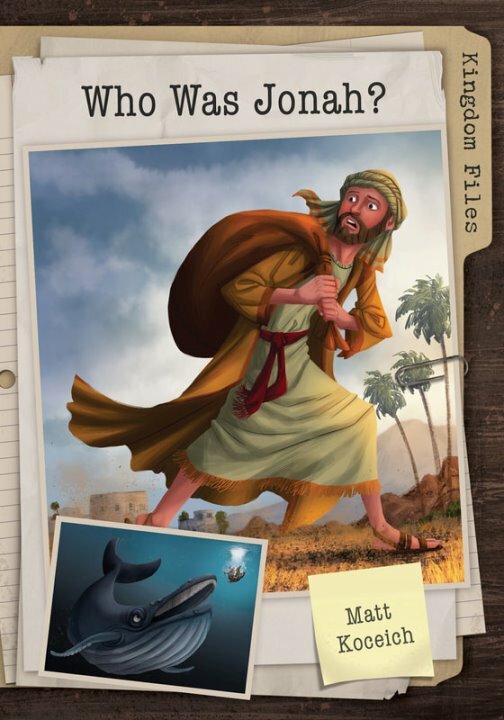 Activities include things like putting Abraham and his descendants in order from oldest to youngest, memorizing the book summary from the card, answering questions about the timeline of events, and then reading the Bible section and answering questions. 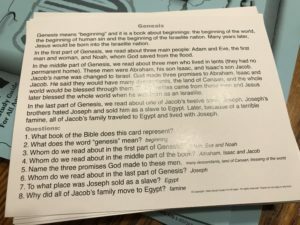 The summary cards are just what they sound like. Each one has color images on one side and a lot of black and white text on the other. 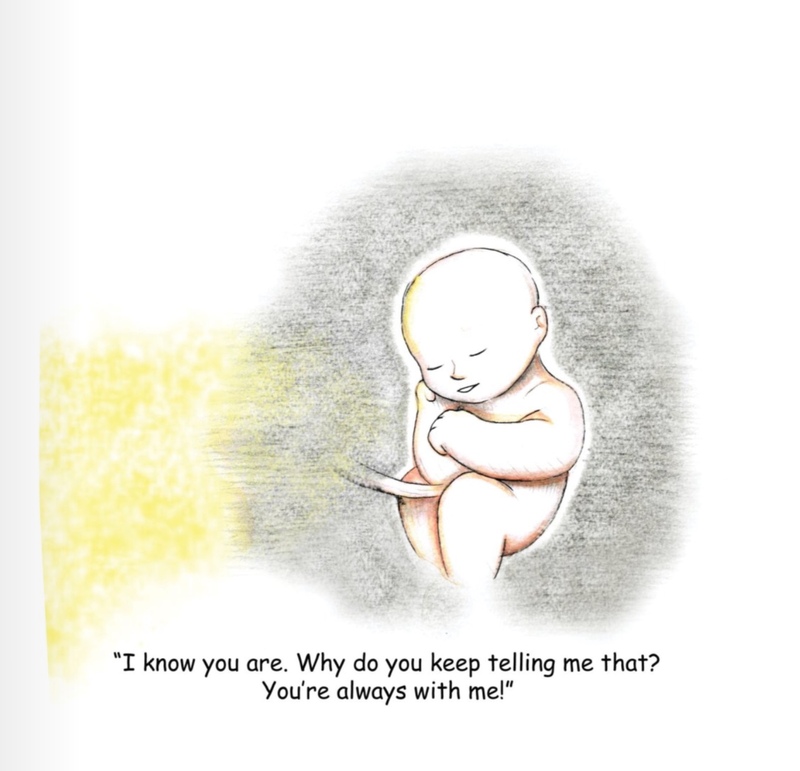 There are also questions on each one to help make sure children are understanding what they read. The pictures represent the main events that happen in that book, and the writing on the back contains more details. It also explains the title of the book (Genesis means “beginning,” for example) and what type of book it is (history, poetry, prophecy, etc). This has been a really positive experience for our family. We’ve enjoyed exploring the Bible more thoroughly than “just” reading it. 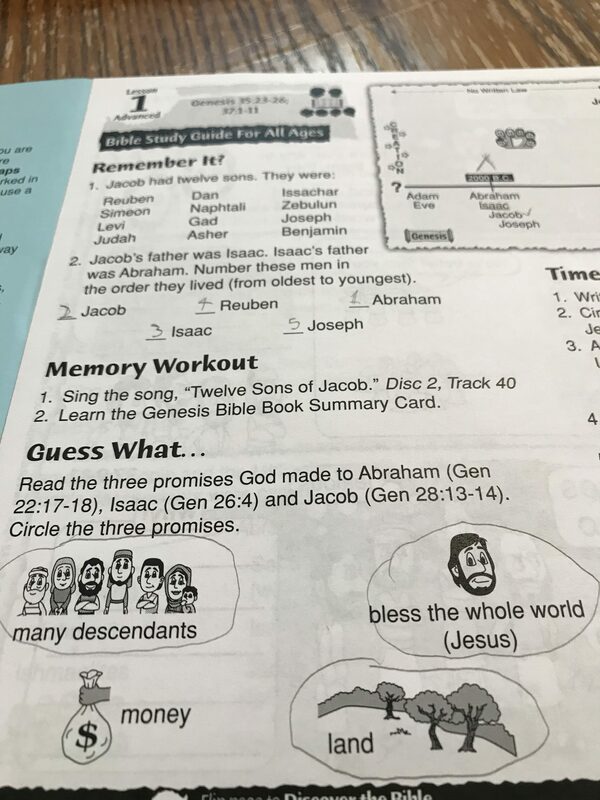 I’m not suggesting that simply reading the Bible isn’t enough, but it’s nice for children to be able to have some supplements to help them remember what’s been read more readily. I’m glad I’ve been able to work through this with them. 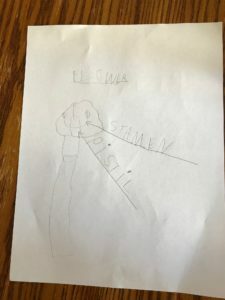 My kids love art. That’s not surprising, considering their dad does art for a living (he draws comics and does graphic design). But they don’t get a whole lot in the way of classical art or art history – not to say they don’t get that at all, just not as much as we’d like. 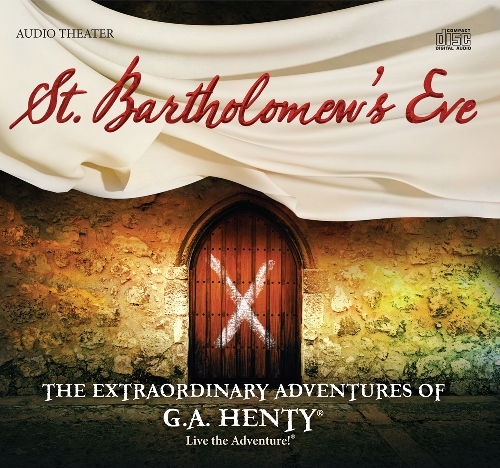 So when the option of reviewing The Master and His Apprentices: Art History from a Christian Perspective was presented, I talked it over with my artist husband, and we decided it would be a good choice for Seahawk, who is 14 years old and entering his first year of homeschool high school in the fall. The Master and His Apprentices is written by Gina Ferguson, and her story is quite fascinating. 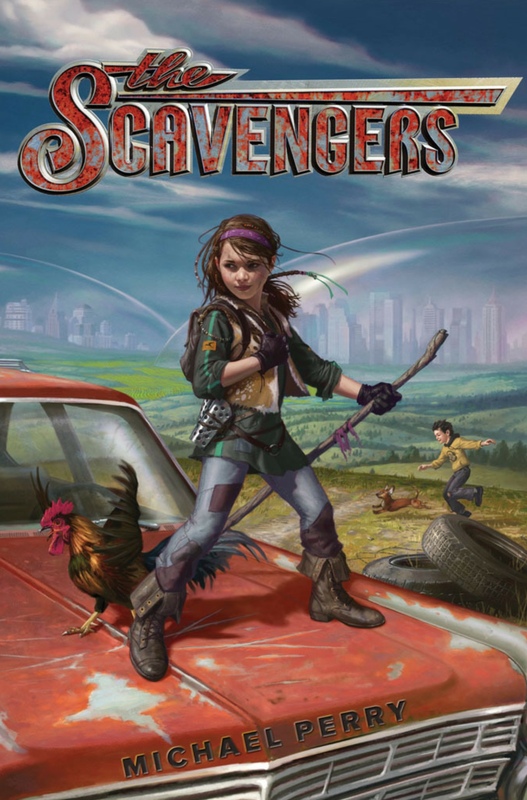 I’m not going to fully recount it here, but you can read it on the About the Author page on the company’s website. Suffice it to say that she never intended to write this textbook, but God had different plans for her life. Luckily for all art history lovers, she followed those directions and created this curriculum! In the teacher manual, you can easily see a schedule, which is roughly one chapter per week. 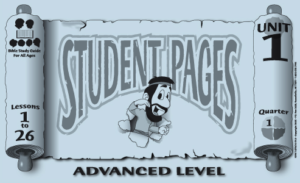 There is also a grading chart with space to record notes about your student’s participation, grades on their papers and exams, and final points in order to calculate a grade. 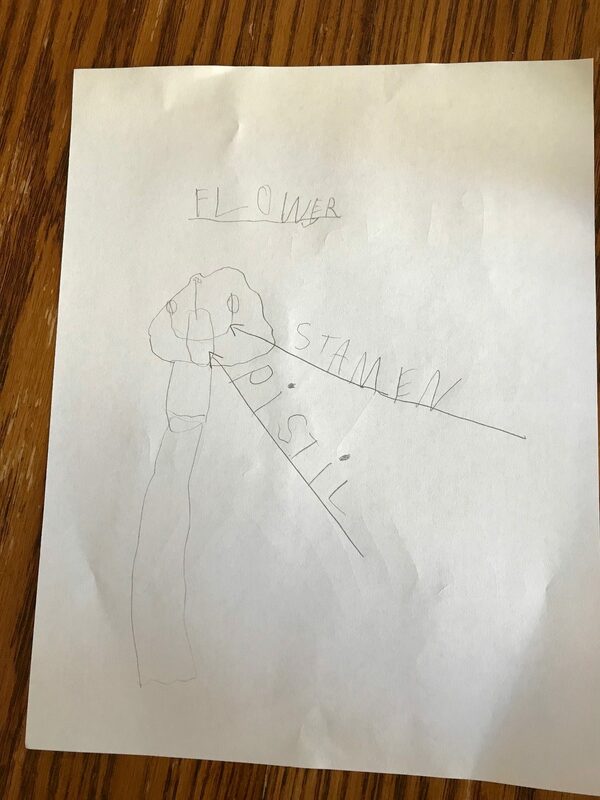 The curriculum is mostly reading and answering questions, which I didn’t necessarily realize when I requested this review. That’s not Seahawk’s favorite way to learn, but it’s good for him to stretch his wings and do things that might be a bit uncomfortable, especially as he enters high school. In addition to all the reading and questions, there are also 4 term papers to complete, as well as 4 exams. Each of these projects/tests is worth 100 points, and there are an additional 200 points allocated for participation for a total of 1000 points possible in the course. 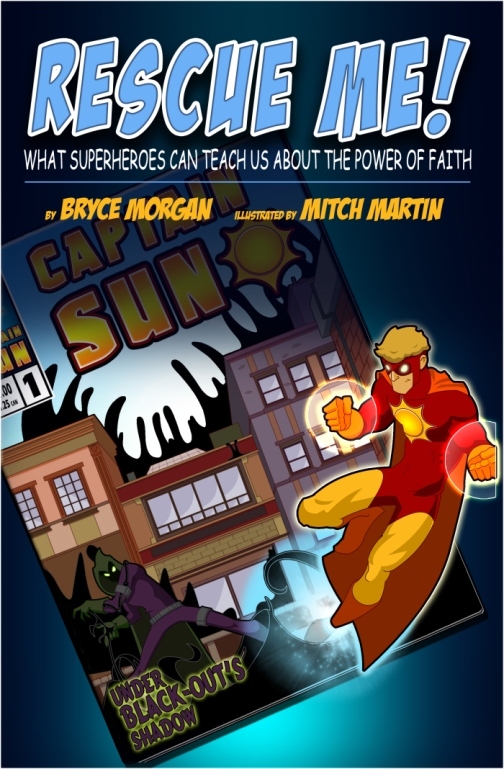 The chapters are based around historical time periods, starting (after an introductory chapter) with Creation. The book moves forward in time from there, covering such time periods as Ancient Civilizations (biblical and non-biblical), the Middle Ages, Renaissance, Baroque, and ending with “modern.” I put that in quotes because that chapter covers from the 1600s and forward. Not many people would consider the 1600s to be modern, but the chapter does move all the way to current day. Even though this course wasn’t exactly what I expected when I requested it, I do think I’ll have Seahawk pick it back up in the fall. Since he’s entering high school, we have to start keeping track of things like credits earned, and this one qualifies as a full credit for an “art history elective.” I think that’s a pretty reasonable place to start his high school career (besides the things that are easier to define, like math and language arts). 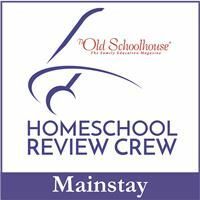 Read more reviews on this curriculum from fellow members of the Homeschool Review Crew by clicking the banner below. Unit studies are a really fun way to learn, but it can be difficult to find those that work for a) older kids and b) a large age range of kids. 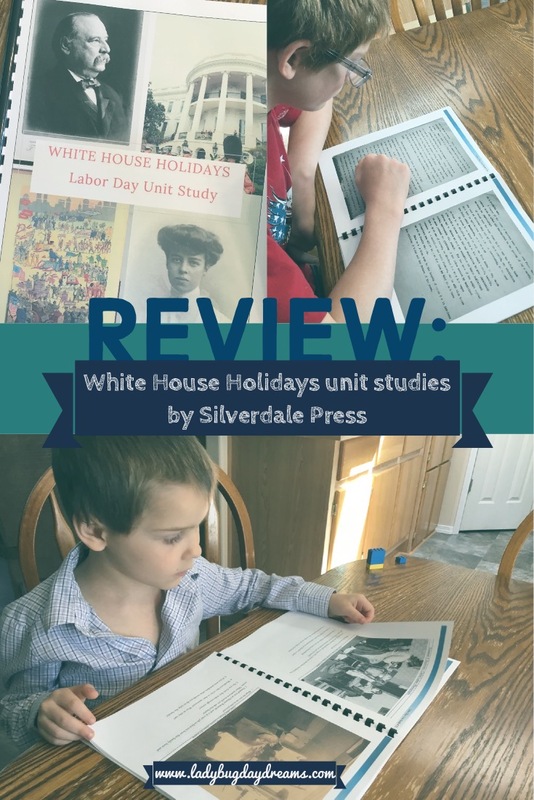 Silverdale Press LLC has done just that with their White House Holidays Unit Studies. Each of the unit studies has activities for kids in elementary school and a separate section with middle and high school level activities. Holidays available for study are Labor Day, Veterans Day, Thanksgiving, Christmas, Martin Luther King Jr Day, and Valentine’s Day. 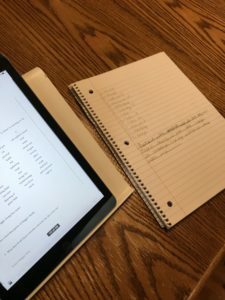 Each unit study has between 3 and 5 lessons, and it’s easy to move through quickly (a whole study in a week) or take your time and get really in depth (one lesson per week). We split the difference and kept it fairly simple but still just one lesson per week. We focused on the Labor Day study, and even though it only had three lessons, it was the only one we were able to do. Allow me to explain… even though these PDFs arrived in my email as “attachments,” the link opened up a Google doc rather than a download. 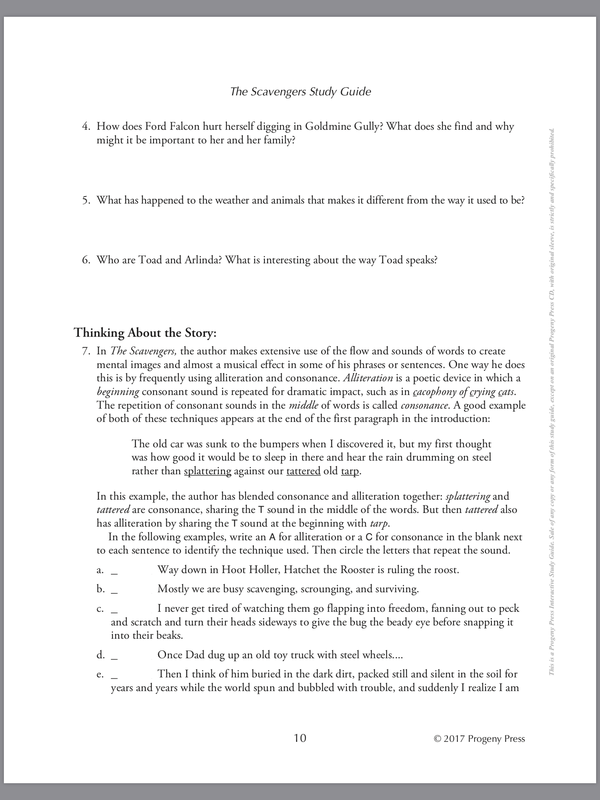 Because of this Google doc format, I was unable to download any of them to my iBooks app, and since I’ve had very limited internet access until recently (last week, to be precise), I couldn’t spend the time I needed to be able to get the download figured out. And as soon as I left Starbucks (read: internet), I no longer had digital access to the files. I was finally able to get the file printed (long story, but basically I had to have access to 3 things all together that I rarely do: computer rather than iPad, internet, and our printer). A real PDF would have eliminated this problem for me, but it’s okay; it all worked out in the end. Back to the Labor Day study. 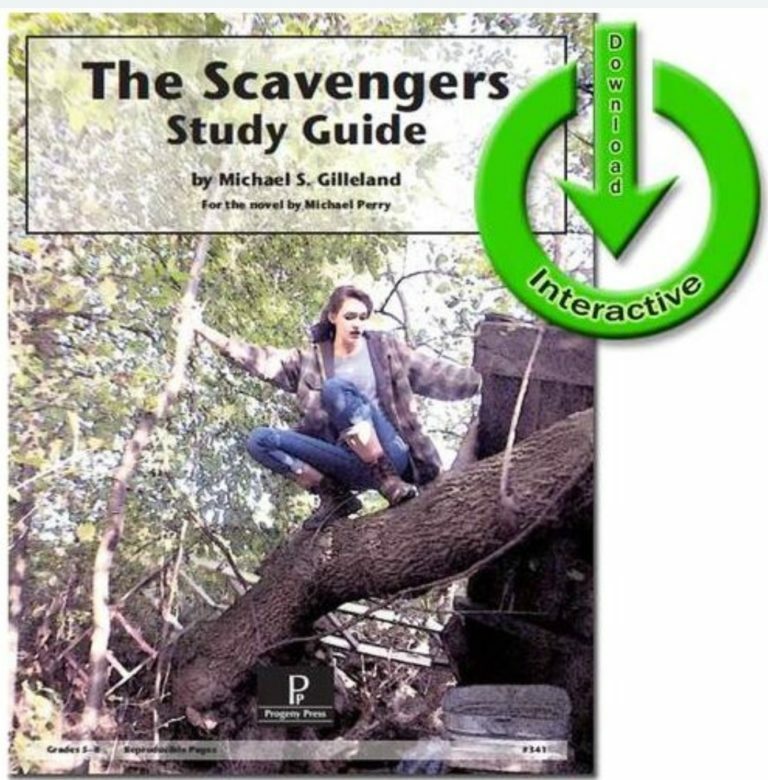 It opens with a note from the author, explaining why she chose to write these studies (as a homeschool mom, she wanted a rich study if the holidays for her kids; as a presidential scholar, it made sense to wrap the studies in that blanket to do so). This note also gives a basic overview of how the studies are laid out. Up next is the table of contents, followed immediately by the first lesson for grades K-6. 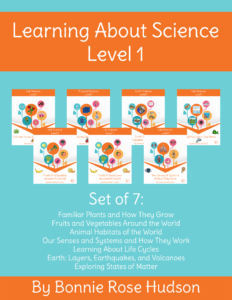 The lessons are well written, with an overview on the first page on each one so you can easily see the required materials, things you can expect your student to learn during the lesson, estimated time, and lesson plan. 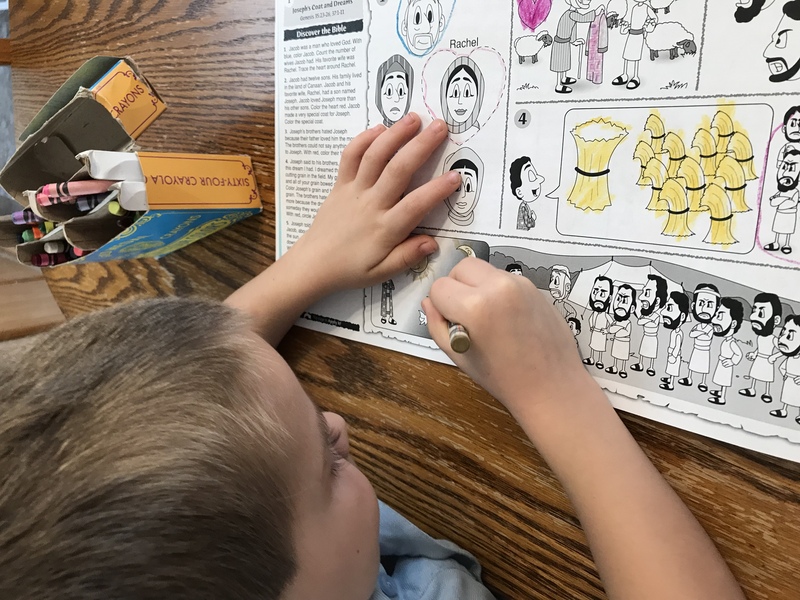 For the younger kids, lessons consist mostly of talking, reading, and a simple craft – for Labor Day, recreating a poster for the first ever Labor Day in lesson 2 and a story in pictures in lesson 3. 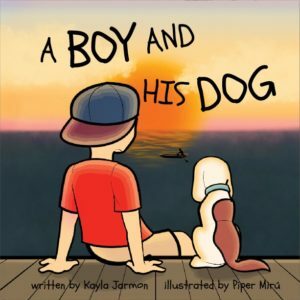 I talked over the lessons and read the information to Small Fry, my 5-year-old. There are quite a few pictures of child labor to look over and discuss with children as well, and each has questions to guide you through the discussion. For children at the upper end of this age range, you could also have them write their answers down report-style. 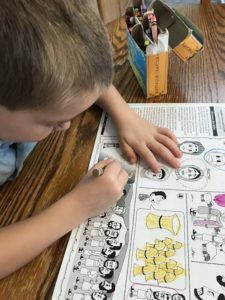 We didn’t do much in the way of the crafts because my kids prefer to use their own ideas when they’re being creative rather than something that’s been assigned. 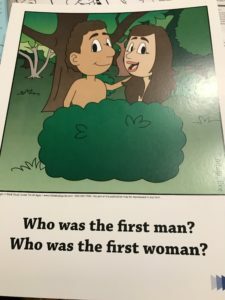 I felt that they got a good understanding of the material using just the read-aloud lessons and questions and answers, anyway. 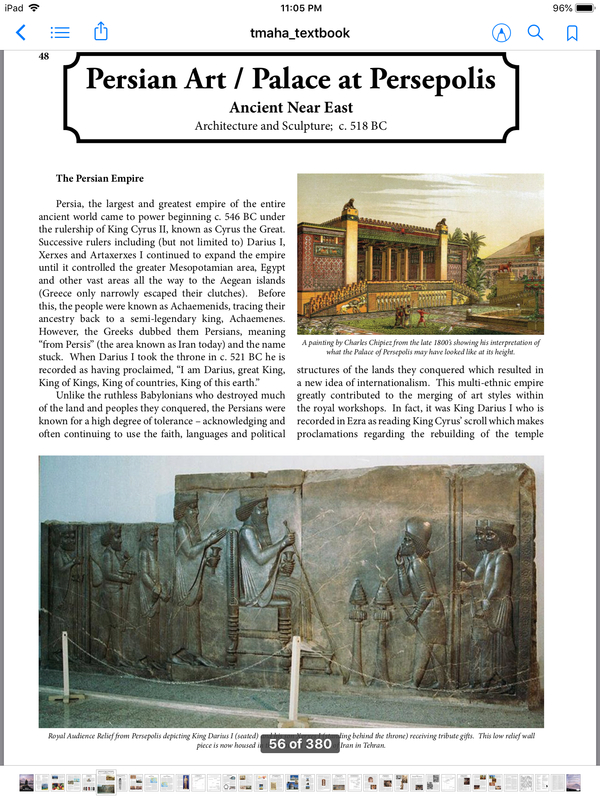 Lessons for older kids follow the same format, with the overview and lesson plan on the first page followed by the text and images for the lesson itself. 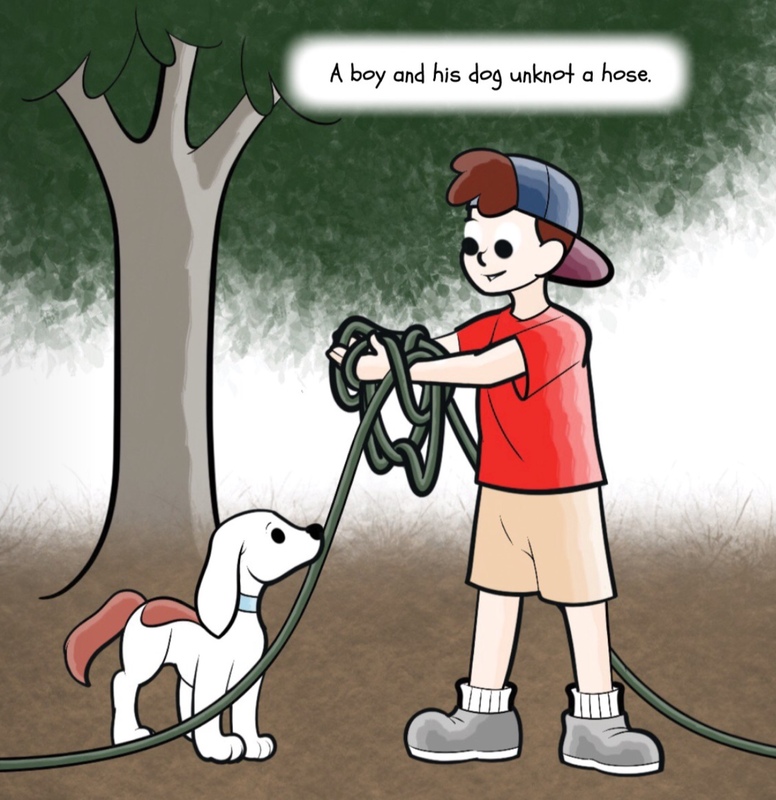 Older kids can – and are encouraged in the lesson plan – to do the reading independently. Discussions should happen with a parent though. 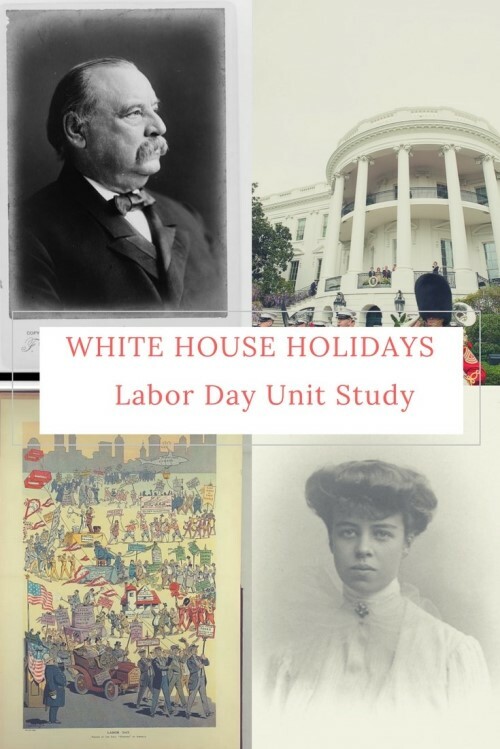 Their activities in lessons 2 and 3 are more involved than just making a craft; they get to analyze past and current Labor Day speeches given by presidents and learn how to get involved by choosing a workers rights issue and writing a letter to their local congressman. All three lessons for the younger kids are together, and the lessons for middle and high school follow. This makes it easier to print just what you need if you have kids in just one of the age ranges. Overall, this has been a really good learning experience for my kids. They didn’t know much about Labor Day (other than it means “the end of summer break”), so I’ve been glad to teach them more about this national holiday and why it’s important. It will be a good one to repeat every couple of years to remind them of its importance.